Globally, aluminum is at the center of trade battles and, nationally, it faces threats from natural deodorants that want to topple it in personal care aisles. The aluminum-free forces are gaining ground. Procter & Gamble’s purchase of Native and Unilever’s acquisition of Schmidt’s demonstrate the big guys are betting big on the growth of alternatives to conventional antiperspirants. Target has made a major lunge in the natural direction by bringing in deodorants from brands such as Fatco, Meow Meow Tweet, Green Goo, PiperWai and Nourish Organic, and upscale entrants from Agent Nateur, Vapour, Soapwalla, Freedom and Kaia Naturals are on the upswing. According to research firm Mintel, U.S. sales of natural deodorants climbed 12% in the 52 weeks ended Sept. 10 to reach $42 million, while the sales of their conventional counterparts crept along at roughly a 2% acceleration rate. Natural offerings still represent a tiny portion of the domestic deodorant and antiperspirant market that Technavio projects will hit nearly $3.5 billion in 2019, but their allure outpaces their penetration. Mintel reports one-fifth of deodorant and antiperspirant users consider aluminum-free formulas to be important in their purchase decisions. Probiotics are continuing their push from foodstuffs to other stuffs. The bacteria have populated skincare and, now, they’re moving on to deodorants – with good reason. Integrative health expert Elizabeth Trattner says, “If we use good bacteria, it will help outnumber bad bacteria that cause underarm odor. Natural deodorant companies are employing this strategy as it works. Good bacteria, essential oils and natural odor absorbers are a naturally powerful mix to rid the body of odor, while keeping the underarm microflora in a positive state that fights all chances of odor.” Island Deodorant, From Molly With Love, Emily’s Homestead, Simply By Nature and Aurelia are among the brands whipping up probiotic deodorant formulas. 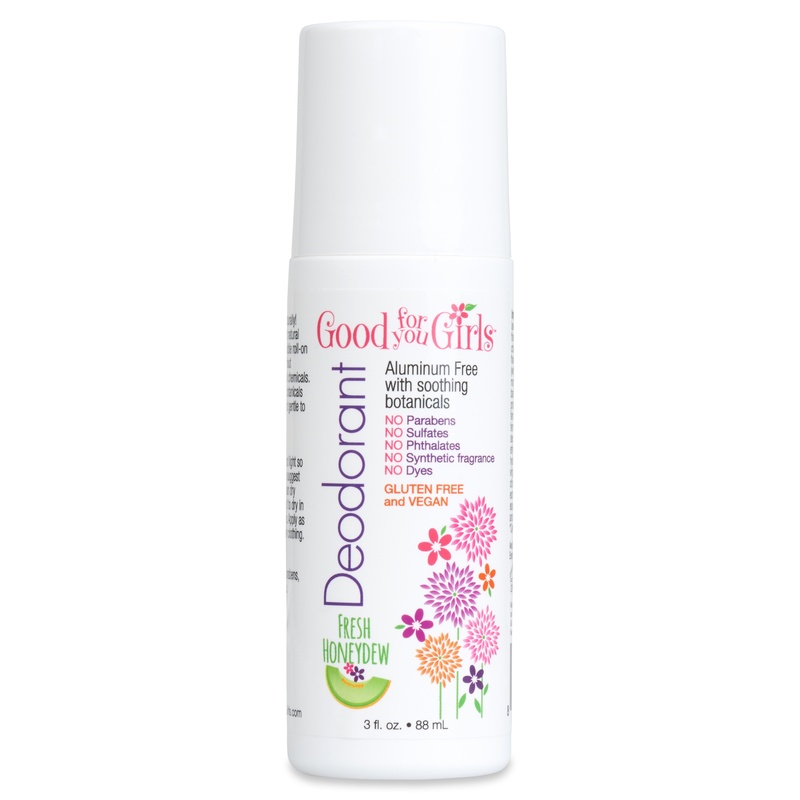 Much like dry shampoo in the haircare segment, dry deodorant is a formidable contender in the personal care market. Powder deodorant is tapped to eliminate odor from various parts of the body in addition to shoes and a myriad of household items. Cindy Jones, founder of Colorado Aromatics, favors the format. She says, “Roll-ons and sprays tended to make me feel sticky and wet, so I decided to create a deodorant powder.” Cleo&Coco recognizes the connection between dry shampoo and dry deodorant, and sells a multipurpose Dusting Powder & Dry Shampoo product. “I can’t even get my bra on without the powder. I’m just a sweaty person,” acknowledges Cleo&Coco founder Suzannah Raff. “Consumers told me they use it as a dry shampoo and I thought, ‘That’s absolutely brilliant.’ I had never tried dry shampoo before.” She recommends the powder for post-workout freshening. When natural deodorants started to take off, pots were packaging staples, but people grumbled about messily scooping formulas out of them. Brands clamored to perfect sticks, and they’ve become the preferred mode of packaging. Today, brands are gauging the consumer appetite for non-stick packaging choices. Freedom allows shoppers to try the gamut of formats with stick, roll-on and spray deodorants in its collection. Type:A is entering Credo with deodorant in a tube, and Moss says the brand’s consumer research shows it to be a stick substitute that’s welcomed. She adds Type:A isn’t the only brand stepping into novel packaging territory, and notes airless deodorant packaging, an array of roll-on iterations and pump cylinders are challenging the supremacy of sticks. Whiskey, Ink, & Lace has a super effective natural deodorant, too.